Sarah, Kim and I went to Mountain House near Denali in the Alaska Range in March 2011. 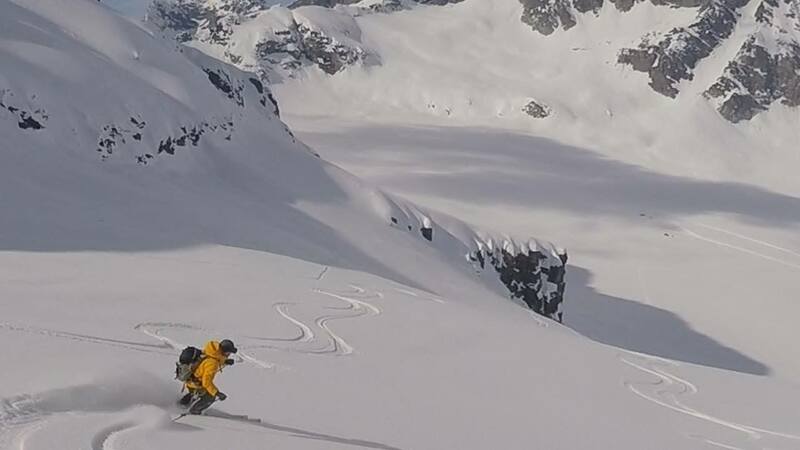 We flew in a ski plane from Talkeetna, got dropped off for a week of unguided independent back country ski mountaineering in the Ruth Glacier. Mountain House is a small cabin perched atop a 400 foot nunatak in the middle of a glacier and overlooks Denali and the Ruth Amphitheater. 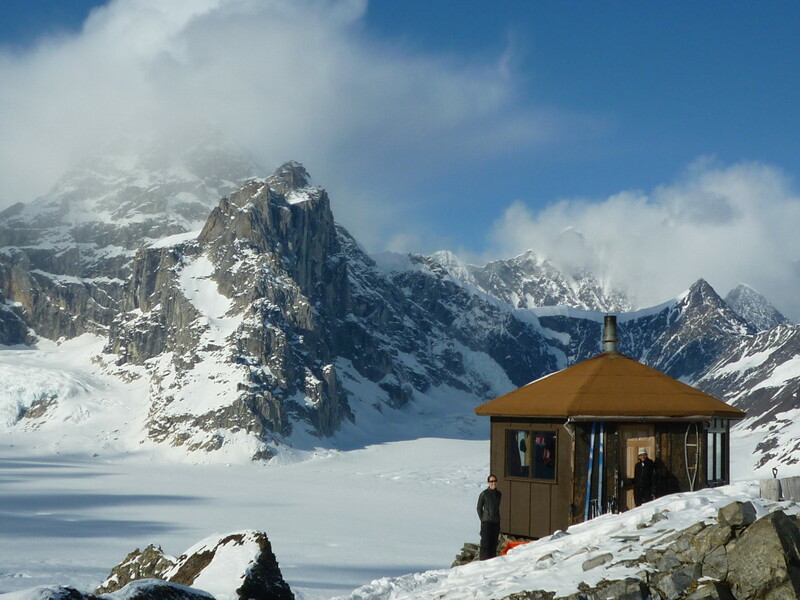 Its a stunning place, but cozy with a woodstove. 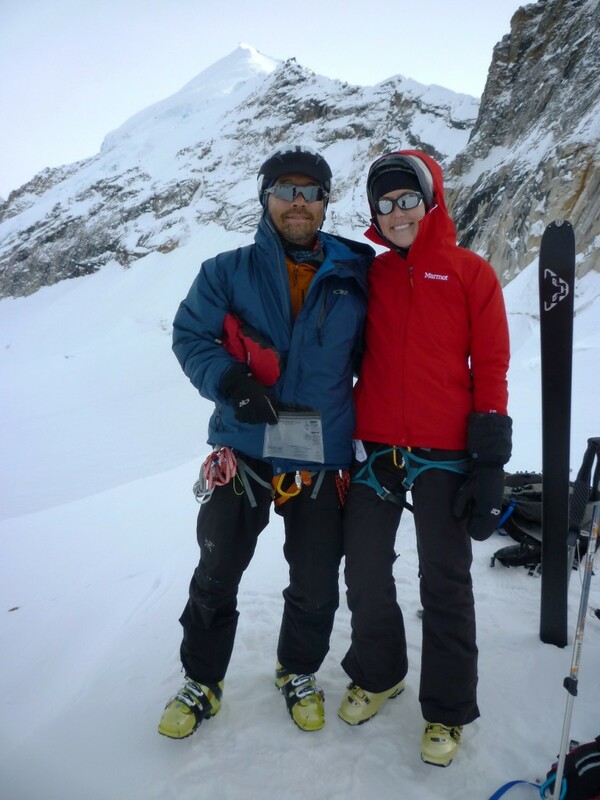 We had to drag all our gear and 500 pounds of wood up the nunatak, and it was kind of a joke how much wood we had, but Sarah didn’t want to be cold. It got so hot inside it was like a sauna. We lucked out with perfect sunny calm days everyday. In can blow 200 mph and get to -50 below zero in a bad storm. The skiing was a bit sparse, but good for our skill level. There are some big crevasses, some big exposure from seracs and avalanche so caution is well advised. Kim and I are on top of Airport Run on the saddle of Mt. Barille. Luckily we didn’t need the rescue gear. Denali, the big one, towers over everything in the early morning sun. 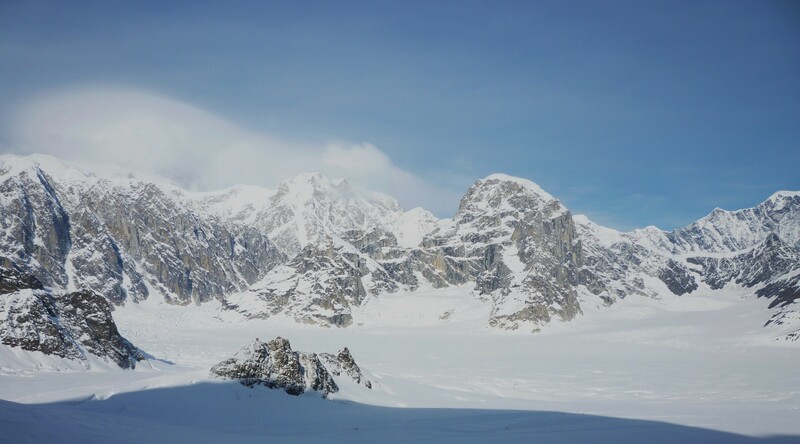 This the view looking down on the nunatak where the cabin is from atop Airport Hill named for the runway at the bottom on the glacier with Denali behind. In the video Sarah is skiing down from Pittock Pass. 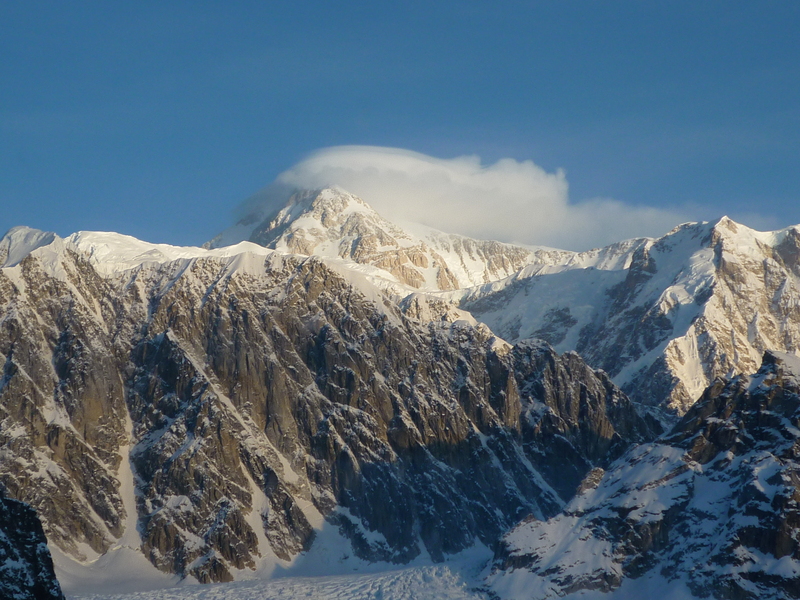 A little earlier a serac the size of an apartment house fell and an avalanche thundered across the mile wide glacier and hit the other side. We stayed out of the way of that. 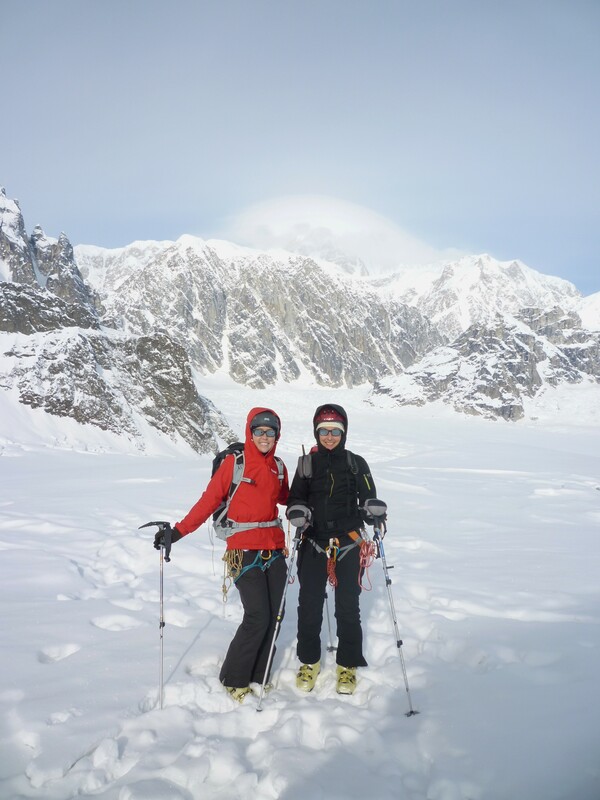 It was a great way to experience the glacier on our own for the first time.